WASHINGTON — President Obama’s fiscal year 2015 budget request for the Bureau of Safety and Environmental Enforcement (BSEE) is $204.6 million, a $2.0 million increase over the 2014 enacted level. The Administration’s proposal would provide critically needed resources to further strengthen BSEE’s regulatory and oversight capabilities for oil and gas development on the U.S. 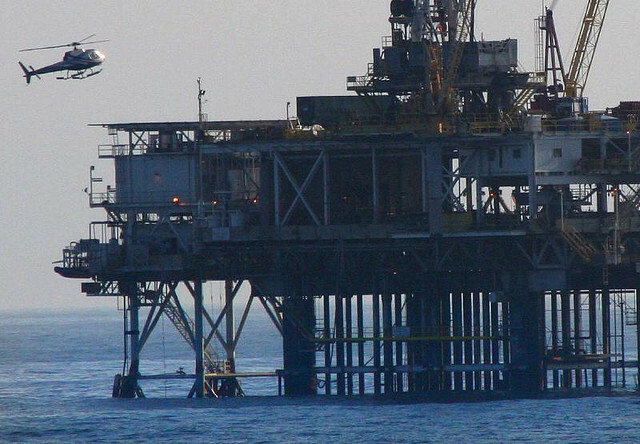 Outer Continental Shelf, as the Administration works to responsibly expand domestic energy production through the President’s all-of-the-above energy strategy. The 2015 budget proposal would enable BSEE to continue to bolster engineering, scientific and technical expertise and research needed to increase its capacity in multiple disciplines to adequately staff regulatory, safety management, structural and technical support as well as oil spill response prevention programs. The development of robust scientific information and the timely and thorough review of exploratory and production permits are critical components of BSEE’s oversight responsibilities. The President’s budget furthers BSEE’s strategic goals through a program increase of $905,000 to support enhanced review of emerging technologies, and expand project funding to validate technology, test protocols and analyze economic feasibility. The President’s request will be offset by $123.6 million from BSEE collections, including $65.0 million from inspection fees, $50.4 million from rental receipts and $8.2 million from cost recovery fees. The proposed 2015 budget will enable BSEE to continue to build a robust culture of safety, with a strong focus on risk reduction. The Bureau will bolster its capacity for analyzing data gained through incident reporting requirements, near-miss reporting, and real-time monitoring. BSEE will also work with the offshore industry to better understand their safety processes, so that in turn it can mitigate safety risks and reduce the likelihood of future incidents. As part of this cooperative effort, BSEE will continue the development of the Ocean Energy Safety Institute in FY2015. The Institute will provide a program of research, technical assistance, and education that serves as a center of expertise in offshore oil and gas exploration, development and production technology. This expertise will be especially critical for frontier areas, such as high temperature/high pressure reservoirs, deepwater, and Arctic exploration and development. By the end of 2013, there were 40 deepwater floating rigs drilling in the Gulf of Mexico, up from 37 at the start of the year. The Energy Information Administration projects offshore production will continue to grow from 2015 through 2040, as the pace of development activity quickens and new, large development projects, predominantly in the deepwater and ultra-deepwater areas of the Gulf of Mexico are brought into production. The 2015 budget request provides robust support that will enable the Bureau to keep pace with industry activity and the technology developments that are helping to drive this anticipated growth. Additional details on the President’s FY 2015 budget request are available online.